We are pleased to offer you this mini French Press, which is the brewing method that (many coffee connoisseurs claim) produces some of the finest tasting coffee, because it uses no paper filters which are known to absorb some of the delicate flavors of fresh brews. 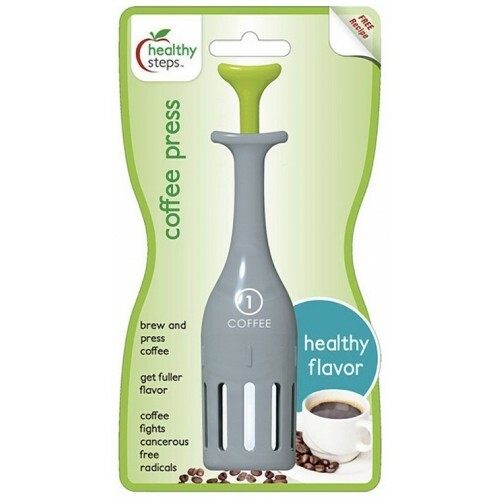 This press makes one cup of coffee, right in the cup, so it is compact enough to keep one at work or pack in your luggage on a trip! 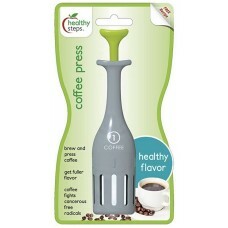 Enjoy great French Press coffee anywhere!